I still see myself as a work in progress. 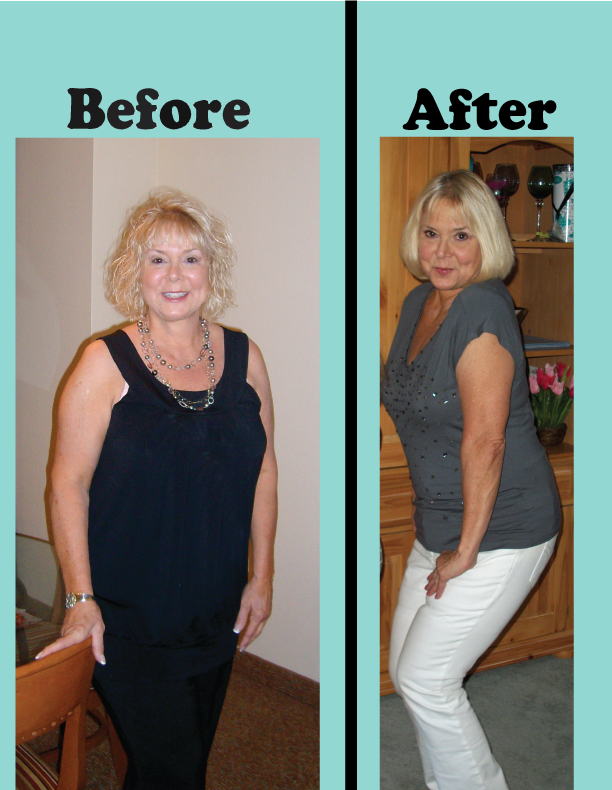 I was a size 18 (gulp) and am now a size 12…a groovy thing for a 63 year old gal!! : ) I am off my high blood pressure meds…and am just so much happier in general. Under your guidance, I have not felt like I was on a diet..no special foods..just good healthy eating along with educated choices. Not once did I feel deprived. Thanks for being there for me every step of the way and encouraging me!! PS..I feel and look younger and more energetic than ever!!! I am even able to jog without knee pain!